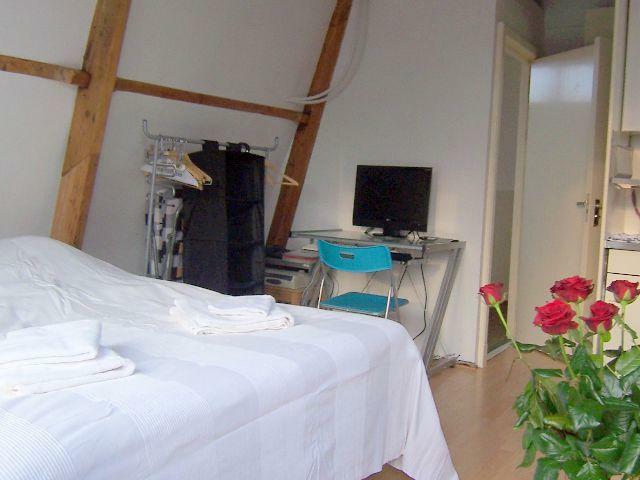 All our apartments are located in the trendy Jordaan district in the center of Amsterdam within walking distance of all major attractions, restaurants, and night life. 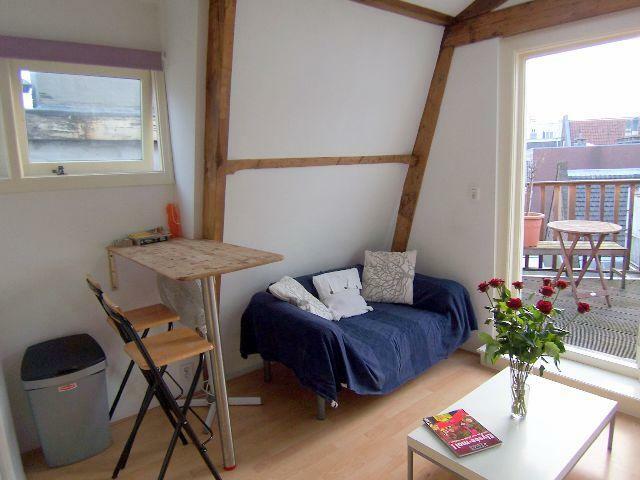 The Jordaan is home to many students, artist, and young professionals. 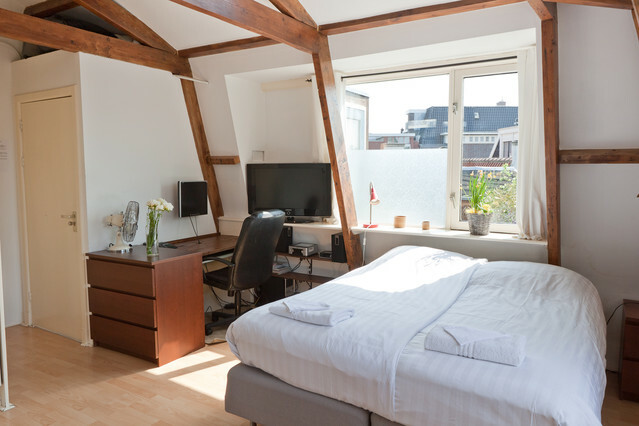 This lively and picturesque area is known for its restaurants, night life, specialty shops, and cultural attractions such as the Anne Frank House. 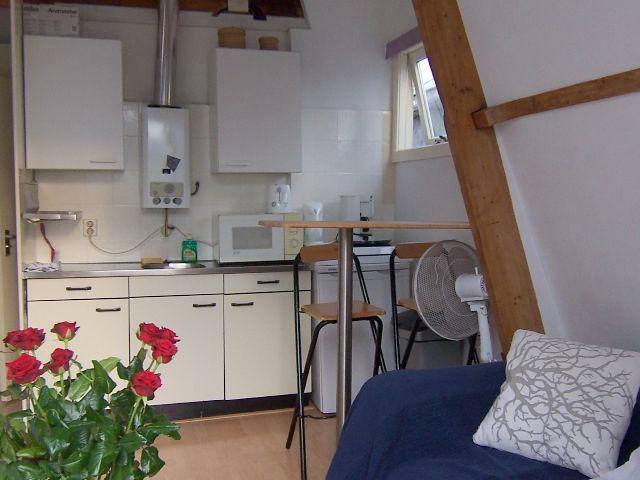 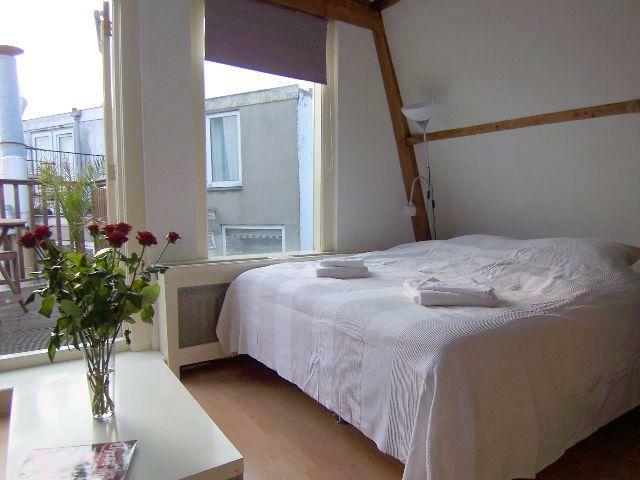 Quiet and romantic studio is located on the top floor at the back of the building and offers a balcony with view of the famous Westertoren. 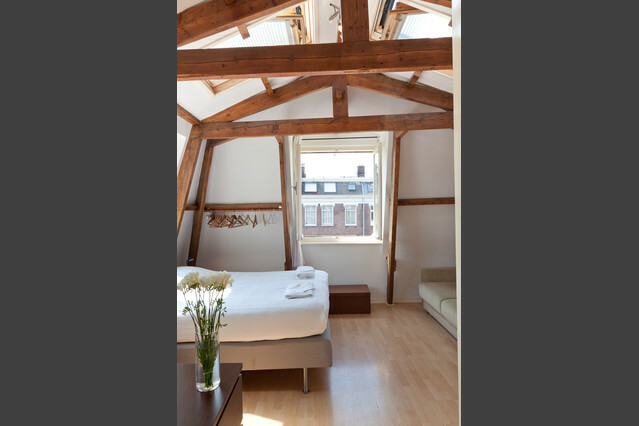 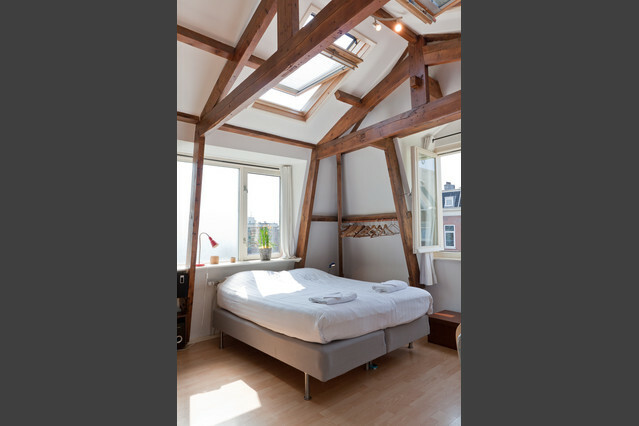 This charming penthouse studio was recently renovated to expose the original century old wooden beams of the canal house. 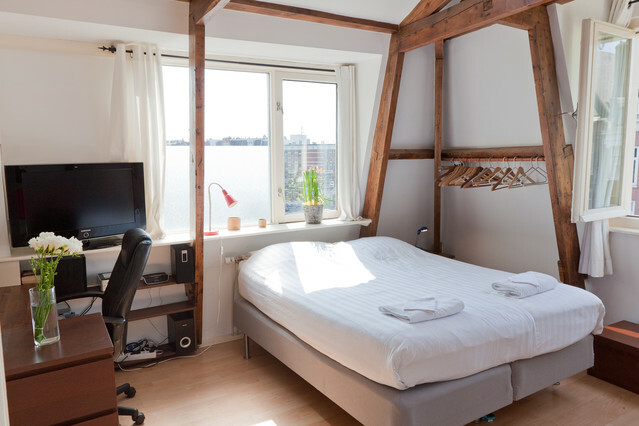 If you do decided to come to Amsterdam and stay in one of our lovely studio's we would like to offer you a free bottle of wine during your canal cruise that you can book with our partner boat rental company called Boot Huren Amsterdam. 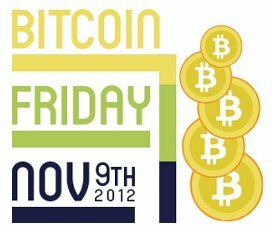 20% off all stays of 5 days and longer paid with Bitcoin.